Are so good they're scary! 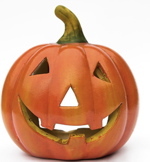 Halloween falls on the 31st of October - the day before All Saints Day. 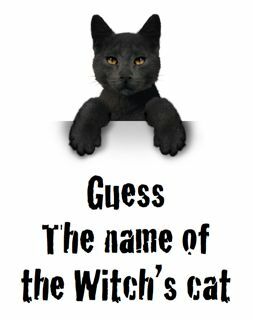 It is traditionally associated with witches, ghosts, vampires, monsters and pumpkins. 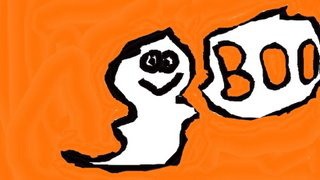 Halloween is perfect for anyone looking for large scale fundraising event ideas. You can also, however, use Halloween as a great excuse for some good fundraising ideas at school, the workplace or the social club. Below are some really good Halloween fundraising ideas guaranteed to deliver a top earner (and lots of fun) for your organisation. Are you letting the local stores sell all the pumpkins? 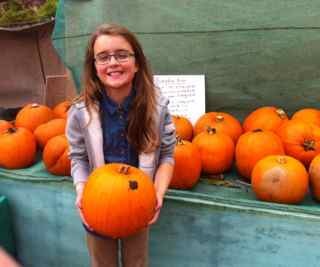 Cut your organisation a slice of the action and hold a pumpkin sale the week before Halloween. Most people would rather buy when they know some of the money helps a charity. Team up with a supplier or wholesaler and split the profits. Alternatively offer a supplier a pitch at your workplace or school for an agreed price. 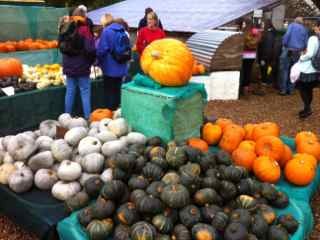 You might also be able to sell ready carved pumpkins to local businesses, shops, bars and restaurants for their window displays. 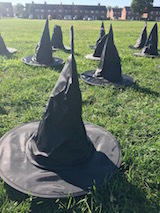 Can you find the treasure hidden beneath one of these witches hats? 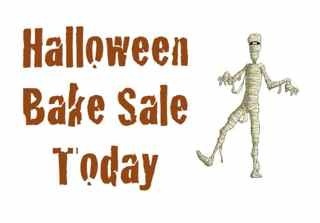 Halloween is a great excuse to hold a bake sale either at work, school or even in the street if you can get permission. Baking for a Halloween Bake Sale is also a little bit more fun. There are lots of great ides for Halloween Cookies and Cakes on the internet. Check out our Halloween Bake Sale Pinterest board for inspiration. These spooky hands are really popular with kids. Simply fill clear plastic gloves (the type you get on Service Station forecourts) full of popcorn. Tie the wrist end up and add a cheap plastic spider ring or similar. Sell them as Halloween Hands or Skeleton Snacks. Make up some delicious hot soup - nice and spicy is best. If you have a cauldron so much the better. Dress up as witches and sell it to friends, work-colleagues or passers-by. This works brilliantly in staff canteens if you can get the support of your firm's caterers. Halloween fundraisers do not have to be complicated. Who amongst your colleagues could resist a special Homemade Halloween Biscuit delivered to their desk. Offer your colleagues or the kids at school a choice of Lucky Dip Bags. Some contain a treat such as a chocolate bar - others tricks such as an onion, a carrot, a stone with a plastic spider tied to it etc. Some might be carved in the traditional way but there are all sorts of other imaginative ways competitors might decorate them. Put a bucket or cap by each pumpkin so people can vote for their top entry with loose change. Could you even run the whole event in your town precinct or shopping mall? Guaranteed passing traffic and publicity for your cause. Ok really obvious but a great way to put on something just that bit different and stand out from all the other charity fundraisers. Dress your venue in scary black with ghoulish decorations. Have all your staff and volunteers in costume. 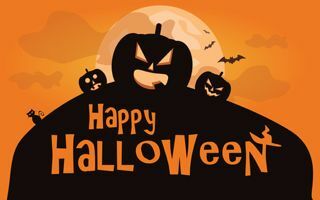 A fancy dress contest for your guests, great Halloween themed food and a few little competitions throughout the course of the evening. A perfect way to have fun and raise your organisation's profile. Is your Summer Fete becoming a bit tired? Same every year and having to compete with every other event in the local area? Why not scrap it and try a Halloween Happening instead? Simply give all your normal fete ideas a Halloween twist for instance Splat the Rat becomes Splat the Bat etc. A Halloween Happening could really work for your organisation and give your volunteers something to have a bit of fun with. This is a great Halloween variation on the popular fete game Guess the number of sweets in a jar. 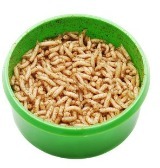 Buy your maggots from a fishing tackle shop and count them into a jar or bowl. Charge to guess the number of maggots. Either list guesses against people's names or you need to have a paper with appropriate numbers listed that people can put their name against. Closest to the actual number of maggots at the end of the day wins a prize. People pick a name from a list of 50. The winning name to be revealed at the end of your event. Here's one that would capture the imagination of the local press and guarantee you some great publicity. Two teams of witches in full regalia face each other for the ultimate challenge. Using their brooms as hockey sticks and a small football they play 20 minutes each way. Meanwhile you work the crowd with all your other fundraising activities. 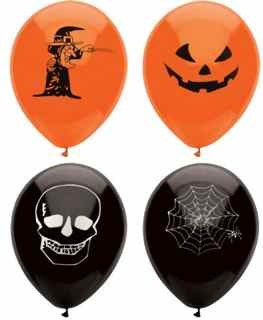 Of course there are lots of bits and pieces you can buy on Amazon to help your Halloween Fundraisers go with a swing, ranging from cheap balloons to fog machines. So there you have it some really great Halloween Fundraisers. 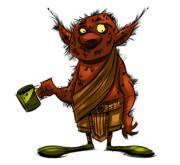 Which ghoulish fundraising idea is the right one for your organisation?